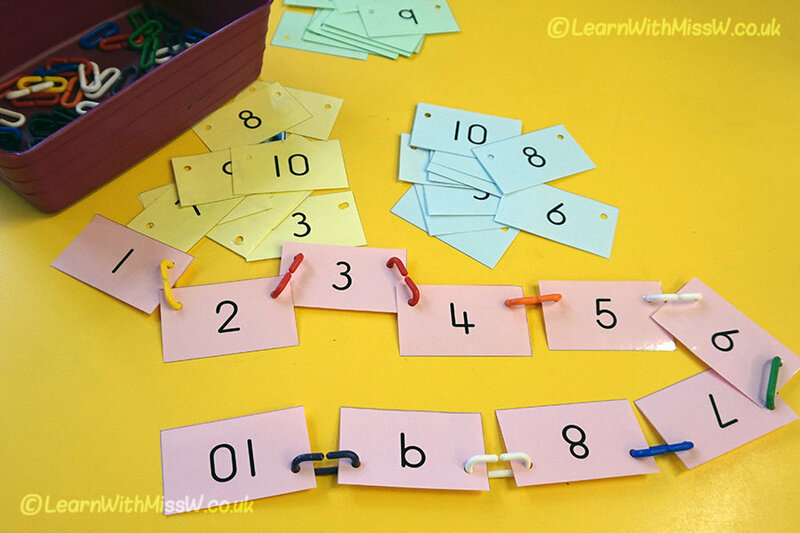 More active maths games for numbers to 10. This time children are practising ordering numbers to 10. We’re using the same plastic links as last time, but the laminated cards have holes on each side near the top so they can be clipped together with the links to form a chain. Children can work individually or with a partner and if they get stuck there are numberlines and other prompts in the room to help them.